After an amazing start to the year in the creative weeks Moonstone is now fully immersed in curriculum and in the ICE zone! In mathematics we have been working on place value. Learning about the units, tens, hundreds and thousands. We have been partitioning two, three and four digit numbers as well as rounding two and three digit numbers. In English we are finishing up our study on non-chronological reports. We have looked at many texts and have created our own non-chronological reports on the Romans. This has been really great and the students have produced some amazing reports!. We continue to walk twenty minutes each day and are recording our steps on a classroom chart! In dance students have started the routine for the Christmas concert with Mrs. Johnson. In physical education the students are learning netball and tag rugby with Mr. Franco and in science students are learning about plants with Mrs. Wright. The students are very busy at schools and are focused on their targets for the year. Please help to remind your children to complete sixty minutes of Maths Whizz every week as well as to read at least ten minutes every night. Being engaged in these activities will help your children to make progress this year! In our creative weeks we have started our topic on the Romans. The students have been very eager to learn and have been working very hard. We have been reading stories to learn about the Romans and have began to generate ideas of what we want to learn through this topic in the classroom and in the ICE zone. We were fortunate enough to take part in History Off the Page on Wednesday September 9th. Students participated in a live role play and were able to put themselves in Roman shoes as they dressed up and participated in a few of the everyday market trades in the morning. In the afternoon students participated in a feast and provided their own entertainment splitting up into groups performing poetry, plays, dance, solder training (marching and shield formations) as well as a few even acted as slaves serving the other children snacks just as the Romans did. The day was filled with excitement and the learning was phenomenal as the students now grasp a deeper understanding of what the Roman times were like. In class we have also began to establish a daily routine and have created our targets for the year! I am looking forward to a fun and learning filled year with Moonstone! This week we went to Hamerton Zoo and spotted lots of African animals and some from all over the world! It was very warm out in the sun. We all had a great day. This week year 3 had a visit from Anglian Water. We learnt how the company clean and save water. The children have learnt lots of new and different ways to save water at home, in the garden and at school. The second session we learnt about the sewage system and what should and should not be put down the drains. 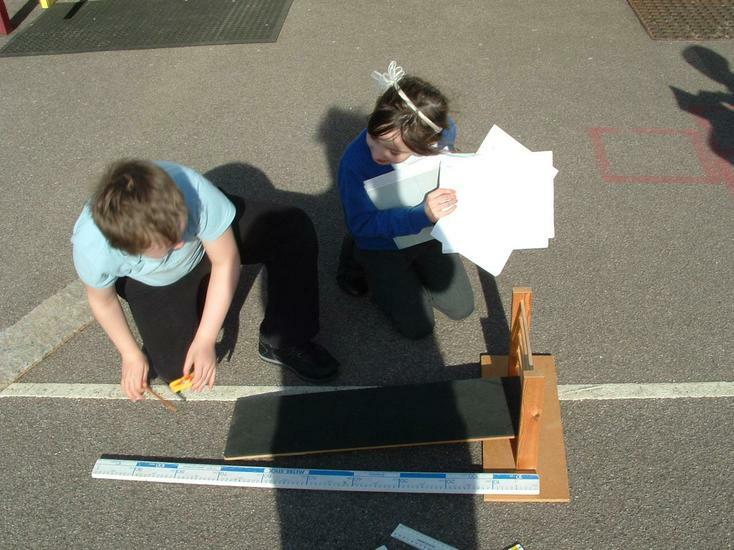 During numeracy this week, the children have been learning how to measure and record the perimeter of different shapes. During Literacy, the children have started to look at persuasive advertisement. So far the children have identified the key features of an advertisement and have found them in different adverts. They will soon be creating their own persuasive piece of writing using all their knowledge and information gathered. Numeracy year three are focusing on time, specifically the 24 hour clock. The children will be learning how to read bus and train timetables, work out the length of journeys, leaving and arrival times, and will also be working out different time word problems. In Science, Moonstone Class are still studying the fascinating world of rocks. The children are learning how to identify the different types of rocks, investigating the usefulness of each kind and how the different types of rocks are formed. Moonstone class have started a new topic in Literacy this week. We have started to look at persuasive writing and are focusing on advertisement this week. In Science the children have begun to explore the three main categories of rocks. In Numeracy Moonstone Class have had a week full of data, starting the week off by collecting and presenting our own data and ending the week with superhero pictograms being interpreted by some of our very own secret agents. Which rock is a sedimentary rock? Which rock is a metamorphic rock? Which rock is an igneous rock? A very exciting week for Moonstone Class. We worked extremely hard to prepare for the St Neot's Story Telling Festival on Wednesday. We also performed two stories to the nursery children on Thursday and then we performed again on Friday to the whole school. We have been reading Pip's Pizza. We have learnt how Pip (an alien) made his pizza, which turned out to be not very good at all! So we made our own pizzas to show Pip how to make a sensible pizza. We have written instructions and taken pictures of the different stages to explain to Pip in Friday's Big Write. More learning of speedy sounds. Cheese and 1one tiny piece of ham. Pizzs to make Pip jealous! During Numeracy the children are learning to solve one and two step word problems involving money. The children will be learning to compare and order prices, as well as working out the correct change they will need to give and receive. Moonstone class has also learnt how and when to use the the 'greater than' and 'less than' symbols. We are learning to add different amounts. Have we missed any of the treasure? Moonstone Class have been busy learning 'The Little Gingerbread Man' story and all the actions to go with the story, ready to take part in an exciting Story Telling Festival. So far we have created our own story maps and have started to innovate the story into our own. A great start to the new term. Moonstone class have been exploring our new ICE Zone topic, Africa. We have created our own tribal masks and trying different African food. Trying different and interesting looking food. In Literacy Year 3 have started to look into different types and styles of poetry. The children have studied Kenning poetry and creating their own in the same style. Numeracy the children have been learning all eight points of the compass, as well as investigating co-ordinates. The children have been using their co-ordinates to find various hidden treasure throughout the week. Science: Moonstone class have been enjoying their topic Magnets and Forces. The children have been investigating different forces. The children have been posing their own questions and then learning to create, plan and carry out their own scientific investigations. 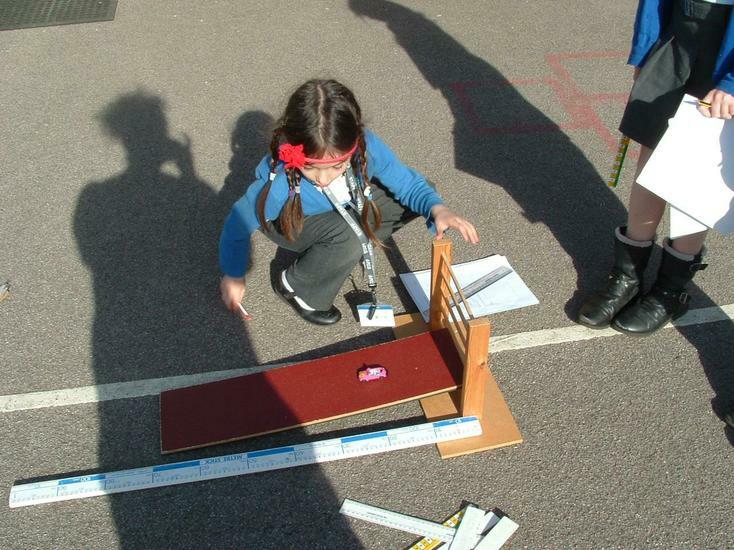 In Science the children have been busy planning their own investigations to find out about the force friction. 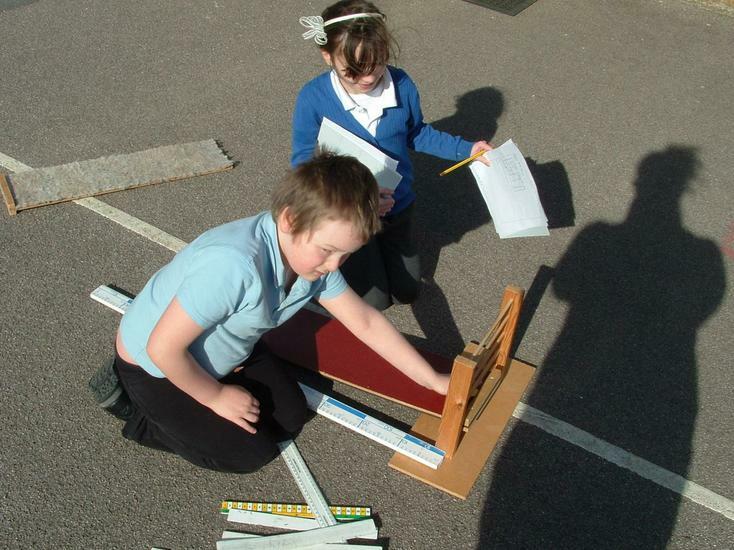 This afternoon the children carried out their investigation in the sunshine. 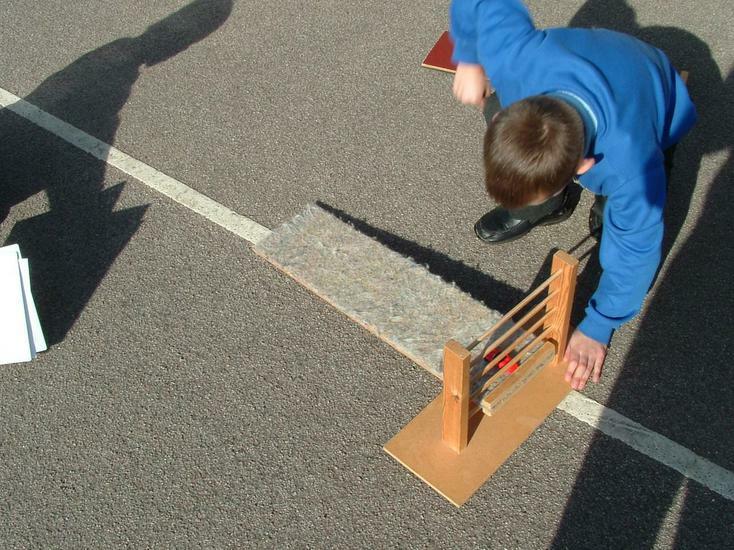 The children have found out the material that was the best at stopping the car, so has the most amount of friction. 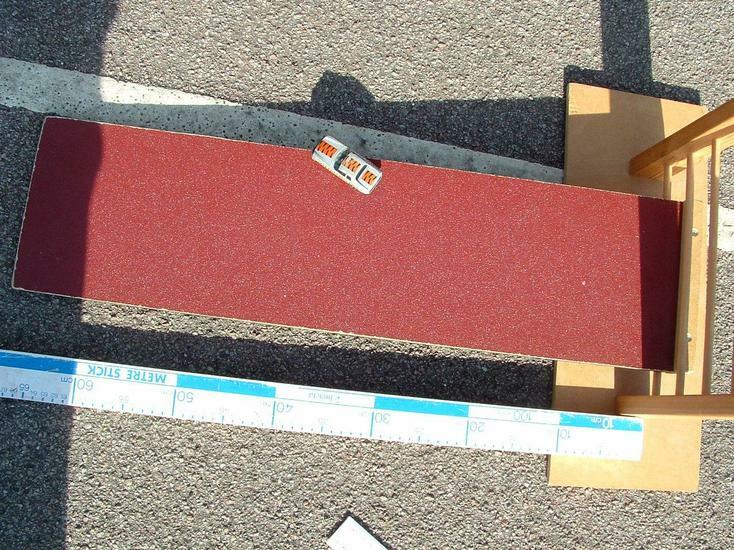 Can you spot which material had the greatest amount of friction from the pictures below? 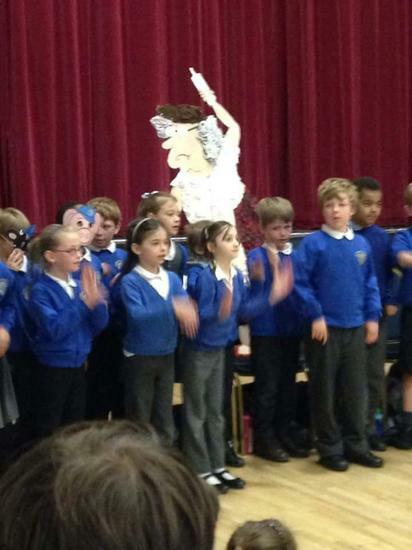 Take a look at the amazing puppets, made at home by the children in Moonstone Class. We took part in 'Drop Everything And Read' where you would have found everyone reading in all sorts of places and positions. Year Three have been learning new techniques for writing a diary entry. This week the children have been imagining they are extreme sports people and writing a diary entry as if they have just experienced a sky dive! In Numeracy Moonstone Class have been exploring shape. The children have looked and found 2D and 3D shapes inside and outside the classroom. 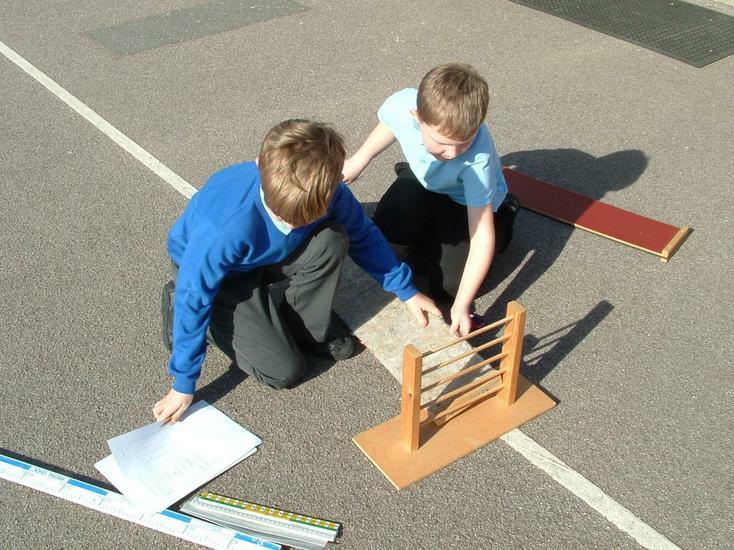 Year three will continue to investigate different properties of shapes and how to build 3D shapes using nets. 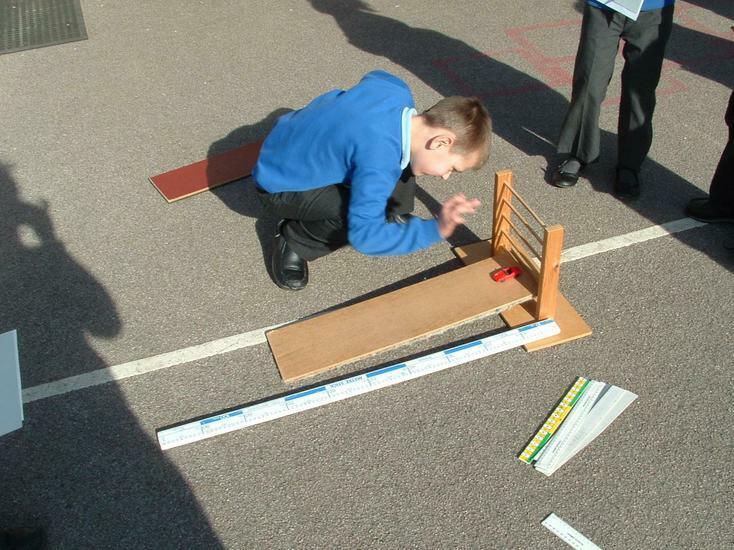 In Science the children have been busy planning their own investigations to find out about the force friction. 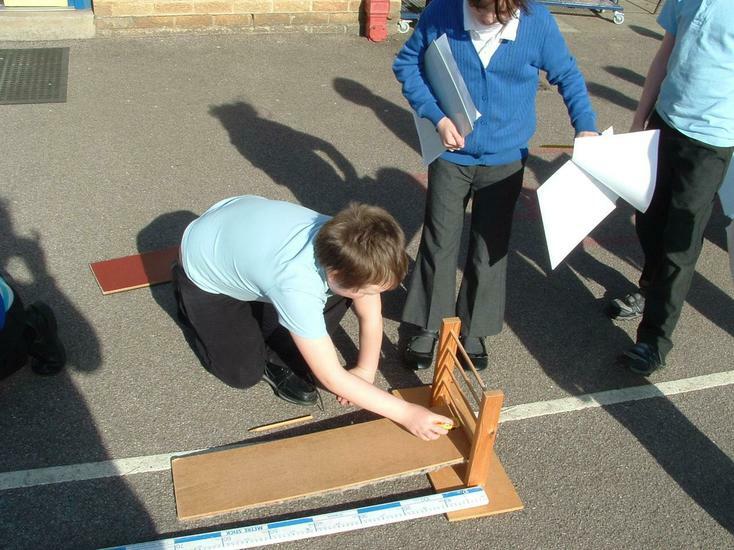 The children will be learning and finding out the effects of different forces all around us. We have started a new topic in Numeracy this week (02/03/15). 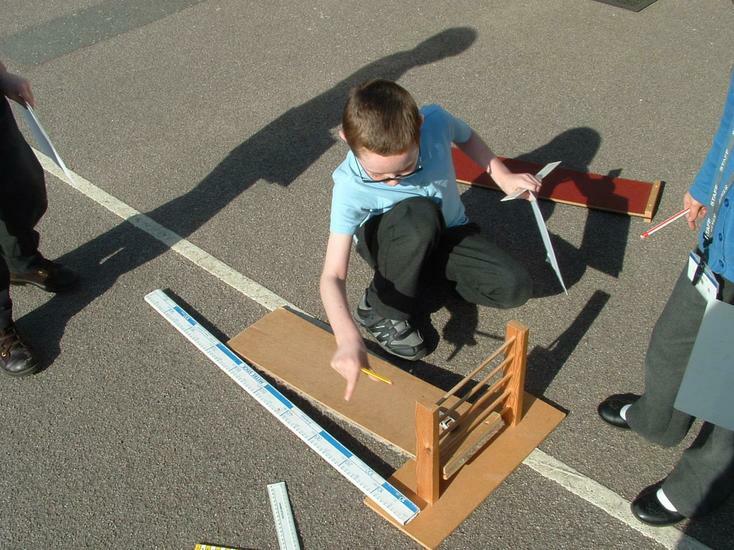 Year three have started to investigate the wondrous world of Geometry. The children went on a 'Shape Hunt' today and found lots of 2D and 3D shapes hidden all over the school, both inside and out. Check out our photos to see which shapes we found. We noticed the shape of the flower bed. We found all sorts of 2D and 3D shapes outside. We noticed this banner was a quadrilateral shape. We found prisms all over the classroom. 3D shapes were found all over the place. Some shape were up high. Some 3D shapes were at the end of our arms! Moonstone class have just planned a Fable of their own based on the morals of existing Fables. The children begin by writing their own version of a Fable, or making up their own from scratch, and incorporating their own characters and morals from their previous work building up to their Hot Write. Year Three have undertaken the challenge of fractions. The children have added and subtracted fractions, found a fraction of a number and shapes, found equivalent fractions, and Moonstone class have also learnt an exciting new written method for division. Moonstone class have embarked on a new topic in Science that involves discovering the interesting properties of magnets and forces. The children have thought of some very intriguing questions that we are going to find the answers to throughout the topic. Learning and performing parts of a fabel. Reading and discussing different fabels. Class questions to investigate for our new topic. Building the Egyptian God Nubis from snow! The creators of the snow pyramid. Measuring different amounts of snow. Measuring the amount of snow. Different amounts of snow measured and collected. Year Three have begun to delve deep into the world of Fables. The children have been learning lots of new Fables, as well as discussing and learning the different morals that accompany them. Moonstone class will be studying Fables in finer detail by pulling them to pieces to find out what makes a great and interesting Fable. Moonstone class have been working really hard on their mental subtraction and addition strategies in Numeracy. Year Three have also undertaken the challenge of multiplying decimals numbers by 10, 100, and 1000. The next steps in Numeracy for Year Three will be focusing on fractions. Year Three will be finishing their topic on Light with a final investigation, before swiftly moving on to investigating the interesting properties of magnets. The children will be faced with a number of puzzling questions to find out and discover throughout the unit. This week in Numeracy we have been learning multiplication. We were investigating different numbers and their arrays. We have also written our story maps for our own creative versions of a well know classic fairy tale- they are soon to be written in full. The first part of the autumn term whistled by quickly. Year three returned back to school after a well earned rest read to learn. 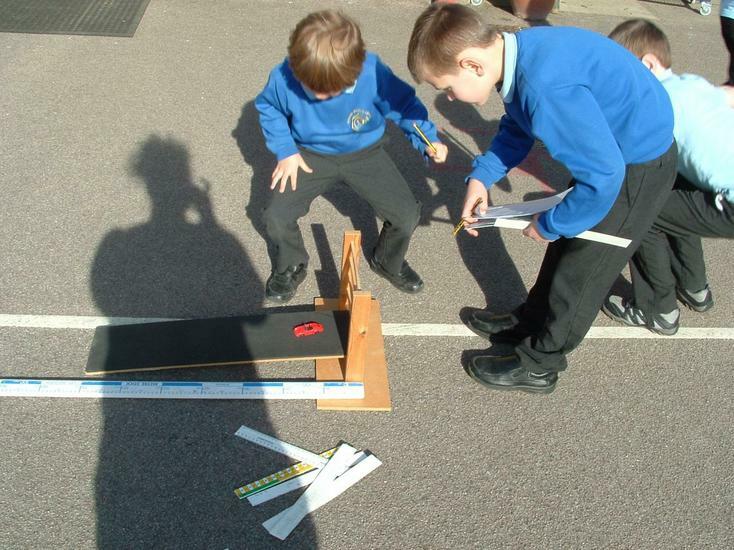 We have started our new topic in Science this week, which is looking at Light and Shadows. The children came up with some very interesting questions to find out about, for example 'How long does it take light to travel from the Sun to Earth?' and 'Why do shadows change size?' We are looking forward to finding out more about our new topic and to find the answers to our exciting questions. During Literacy we have been dissecting the genre of Fairy tales. So far we have looked at the key features, settings, characters and dialogue. We are aiming to write our own version of a well known fairy tale, so watch this space where the exciting stories will be revealed. We have been very busy in Year 3. We have already had two wonderful creative weeks to welcome us back and more recently we have completed two weeks of Literacy, Numeracy and Science. Pictures of our exciting learning will be posted soon. In Moonstone class we have also been busy in the Ice Zone, in Zumba class, at our Street Dance sessions and with Mr Franco during our weekly games lesson. Welcome to Year 3 2013/14! I hope you enjoy reading our page. It will give you updates and photographs of what we have been doing in and out of our classroom. 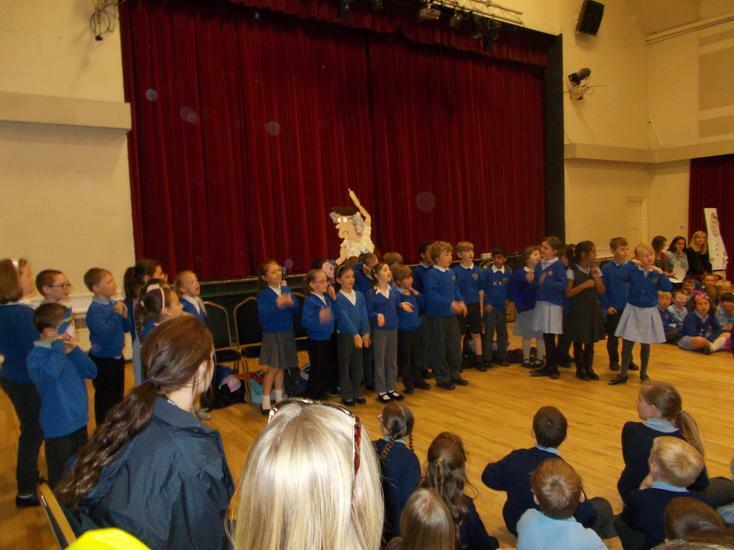 If you look at our gallery you will see pictures of our school outings and various days of fun at Winhills. A short week this week! (I hope everyone enjoyed their bank holiday). The Year 3's have kept up the pace really well. We have adapted the Gingerbread Story to suit our own ideas and have practised our speech (writing, that is!) In Numeracy we did some fabulous word problem solving and in Science we have looked at the usefulness of leaves on plants. What a fabulous week. We have been preparing for our storytelling festival which went brilliantly. 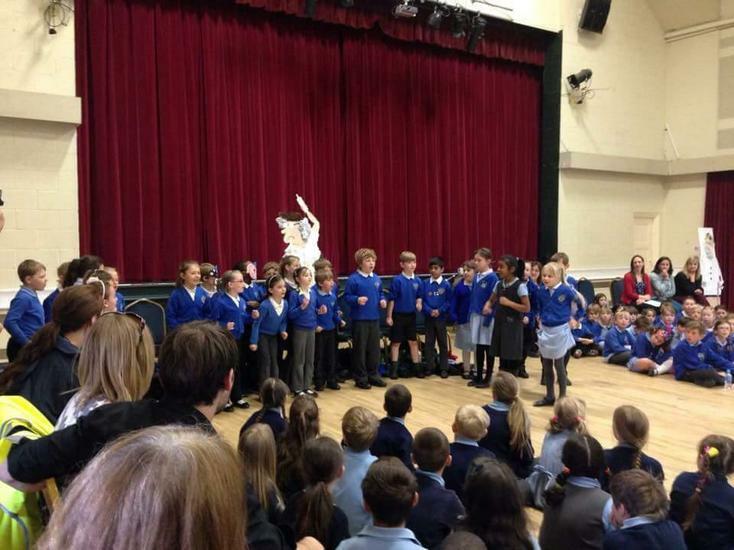 The children were superb and it was lots of fun watching the other schools perform their stories. We even learnt The Enormous turnip whilst we were there. Picture and videos will follow shortly - they are being processed by the Storytelling festival committee. We also used our storytelling to create a story map and begin to underpin the features of the Gingerbread Man. In Numeracy we were applying written methods to word problems. Welcome back! I hope everyone has had a fabulous break and is fully refreshed for a busy term. 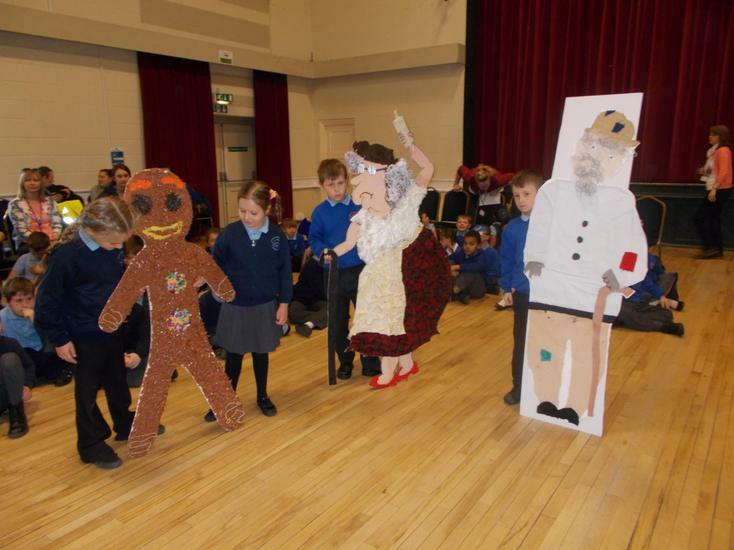 This week Year 3 have begun rehearsing The Gingerbread Man for their storytelling festival. They have also revised addition and subtraction and applied written methods to word problems. We also started our new science topic of helping plants grow well. We can now identify all parts inside a plant and their job role. So, a busy few days back! This week we have had our wonderful Reward Day (chocolate everywhere!) and have been summarising our learning for this term. We have written a letter of complaint about the flood and have been practising our singing voices ready for the summer play. As it is Easter soon we have also made a selection of Easter cards, too. Have a lovely holiday! This week we have extended our Numeracy skills by using the grid method. We have explored TUXU and TUXTU. We have also recapped our understanding of division through chunking. In Literacy we have planned and written a complaint letter in the role of the Witch from Room and the Broom (how would you feel if your broomstick broke?). After finding the key features, the children have now written a letter to Julia Donaldson. We included all of our fabulous questions and our superb research we found. In Numeracy we have been spending money! (We are very good at this!) We can all add money using decimals and partitioning. We have also been exploring what materials are magnetic. This week has been super. The children have all worked brilliantly. In Literacy we have looked at some different letter styles from the Jolly Postman and created a key features list to use later on in the term. In Numeracy we have looked at data handling and have become super stars for answering interpretation questions. In the ICE zone the children have been producing some fabulous work; sketching the fire extinguisher, exploring forces and telling the time to Mr Wolf (see below for pictures). Another slightly different week in Year 3. This week the children have been working with our resident artist. They have been creating visual art looking at both 2D and 3D sculptures (see the pictures in the gallery below). In the classroom, the children have been exploring Julia Donaldson in Literacy and symmetry in Numeracy. On top of all this exciting work, it has been book week! We have used DEAR (Drop Everything and Read), visited the book shop and entered a book cover competition! (See all of the woderful photos in the gallery) Another super week in Year 3. Year 3 have been super stars this week. We have had an assessment week this week and have been so busy applying our reading, writing, numeracy and science skills. In between assessment week the Year 3's have also had PE, dance, music, zumba and our first science lesson about magnet and springs. Here we have a picture of the Year 3's attracting and repelling each other! Our final week of this half term has been super busy. We have learned how to find fractions of numbers and shapes and have used all of our calculation skills to answer some tricky calculation problems. Literacy has been an exciting week. We have 'visited' the bakery to help up describe the bakery using our sense. We even tasted some yummy bakery treats to use our taste sense! This week we compiled our year 3 myths and legends book for the reading corner and swiftly moved onto shape poetry! We looked at why they are called shape poems and what the key features are. We also used ICT to create our own theme poems ready to be put into shapes. We have been using our numicon this week to solve division (with remainders, too) and we can now all show our working out using a written method. We have been writing so much this week! All of us have written a whole myth quest with an opening, a build up, a climax and a resolution. We went to see wise men and disgusting witches before we finished our travels with the head of a beast hidden away in a bag to show the selfish king. Not only have we been writing loads but we have been learning how to solve multiplication on number lines and using the grid method. Year 3 have worked so hard that we can all multiply a 2 digit number by a 1 digit number. In Science we built some new houses for the 3 little pigs (who have all grown up!) using different materials. We had to test the materials strength and find the strongest ones. It's safe to say that paper isn't strong enough! This week we have started to create our own myth quests. We have learned the story of Medusa and Perseus off by heart (with actions too!) and completed superb story maps with connectives and adjectives ready to use. We have then adapted the story with our own mythical beast and weapons. In Numeracy we have spent a whole week looking at time (pictures below). We can now tell the time to the nearest 5 minutes and match an analogue clock to a digital clock. We're officially back into the swing of things this week! Our brains are in over-drive learning how to tackle those tricky subtraction sums and we have been creating story maps of some different myths and legends. We also explore the ICE zone for different materials and thought about why they had been used due to their properties. A wonderful week in year 3. In the Spring term the 1,2,3 ICE zone will be researching and re-living aspects of the Great Fire of London. The Year 3's are already embracing the new ICE zone by researching into what happened and who started the fire! They are exploring the Great Fire of London in the bakery and the fire station. We will soon be using our research to report on the event in our next Literacy Topic. As it fastly approached February the children will be celebrating the Chinese New Year! We are learning what animals the children are and what festivities are traditional. We will be tasting some delicious treats and exploring the history and religious values of this wonderful tradition. The children will be busy bees in Numeracy this term! We have already explored addition and subtraction using Numicon and Deines. The children have been showing me how wonderfully they can use number lines and partitioning to show their working out. We will be exploring how to tell the time and how to find time differences (pictures to follow). On top of all this we are going to be learning how to multiply 2 digit numbers and show division on a number line! Phew! Numeracy really is busy this term. 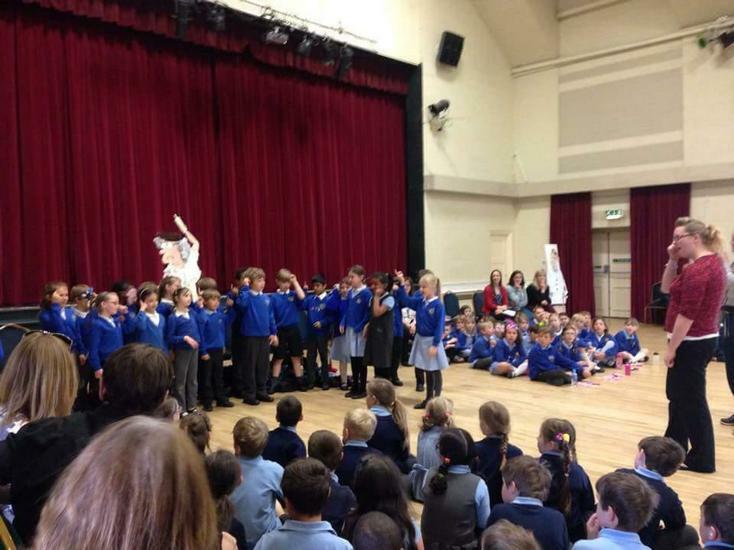 Year 3 have been showing their creativity this term by creating their own Greek Myths! We have all completed story maps of famous Myths including Perseus and Medusa, and then acted out our own Greek Myths with heroes, villains and mythical creatures! The children have written some beautiful mythical quest stories with three-headed animals, mixtures of different species and even beasts that can turn you into dust! I can't wait to read them all! The first half term was very busy! We had some great fun getting to know each other during creative weeks and spent lots of time becoming year 3 learners. I hope that everyone enjoyed their half term (I've heard some very exciting stories, sounds like you were all busy!) This half term will be a busy one with lots of reporting in Literacy and data handling in Numeracy. We also have Christmas to look forward to and prepare for! Year 3 will be singing a song at the KS2 carol service and song sheets will be coming home to help them learn to words. We had a fantastic day being Romans! Year 3 came in wearing fantastic outfits and joined in with the day brilliantly. We spent the morning at a Roman market place making lots of things to sell including medicine, beauty products, beeswax tablets, ink and crockery. We then lounged during a feast (well done to our amazing 'slaves' at their fantastic service) and tried some tradition Roman food such as cheese, grapes and bread. Whilst feasting we watched the children either perform a play, a dance and even present themselves as athletes. Overall, it was a wonderful day enjoyed by all. Watch this space! During the first term we will be studying the Victorians in our shared area and within the classroom. We will be learning who they are and what they've done in the past. We have already thought of some exciting questions about the Victorians and if there are any more questions we can add them to the web in the shared area. This half term we are using all of our knowledge about the Victorians from the shared area to become amazing reporters for the Winhill's Primary News team (who all won the lottery and now have no staff!). We will do lost of research, a video report and a written report to submit to the news team and see if they would like to hire us. It is the year 3's turn to have some eggs! Every child in the class will receive an egg in a little egg box (which we ask to have back to keep giving more eggs out). The egg is yours to make whatever you would like. It would be fab to have a photo to put up (email them or facebook message) or even just a story about what you have done. So far we have had a fried egg and lots of cakes. What could be next? Well done Year 3 for being eggtastic! The eggs have now all been and gone. Year 3 have made some brilliant recipes including omelettes, cakes, fried eggs and more. I have uploaded the pictures that I have received. If there are any more you can send them on in and I will upload them. This half term in numeracy we will be looking at shapes, data handling and measures. 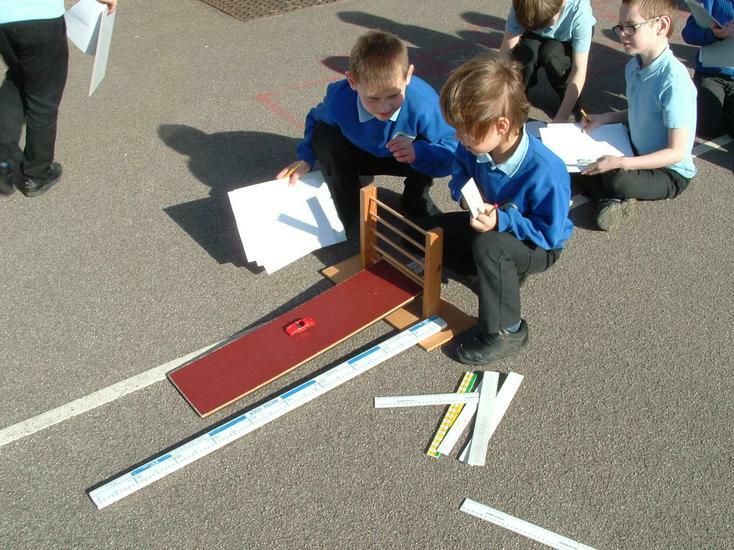 We will be very busy finding right angles with our 'fish' and using different graphs and charts to show lots of data. Last half term the children worked superbly well at their Numeracy skills with many children gaining another multiplication award! Keep up the fantastic work. This half term in Literacy we will be applying to be part of the 'Winhill's Primary News' team. Unfortunately, the whole team won the lottery over the half term and now they need more recruits. Who better than our wonderful year 3's? We will be producing the team with a video report and a written report to show them how amazing we are. We had a company come to our school with a travelling museum of Victorian Seaside artefacts. 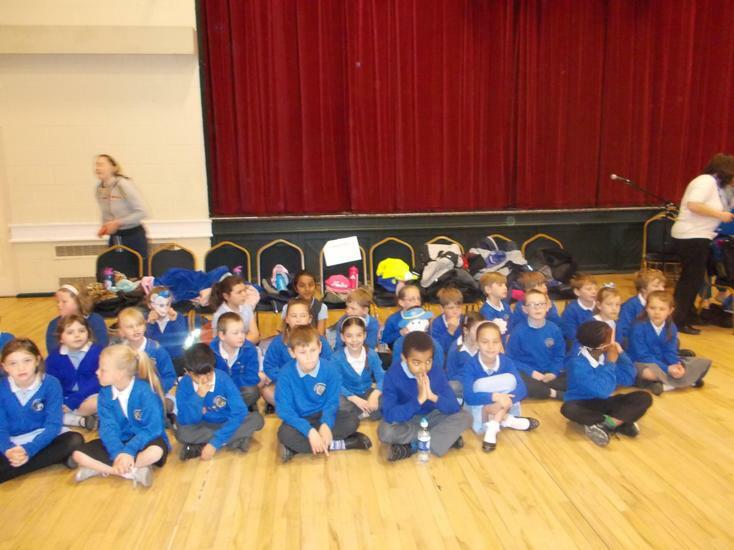 The children actively participated in the Victorian Seaside experience with the highlight being a Punch & Judy Show. This was a memorable day with all the children making fires, building dens, climbing ropes. Everyone agreed the most exciting part of the day was making a raft and launching it in the lake! The topic for the term is Tudors and the shared area is buzzing with a Tudor medical centre and castle. The children have already produced some interesting factual reports on Henry VIII and his many wives!!! In Science the children are learning about healthy eating and the important food groups which they need in their daily diets. The children are also looking at teeth and have made some fantastic moulds which are modelled on their own teeth (including the missing ones!). The children had an enjoyable visit to St Neots museum looking at Tudor artefacts. They discovered what St Neots looked like in Tudor times and saw an original Tudor chest that had been found in the town. Dressing up in Tudor costumes and trying the Pillory was the highlight of the day! 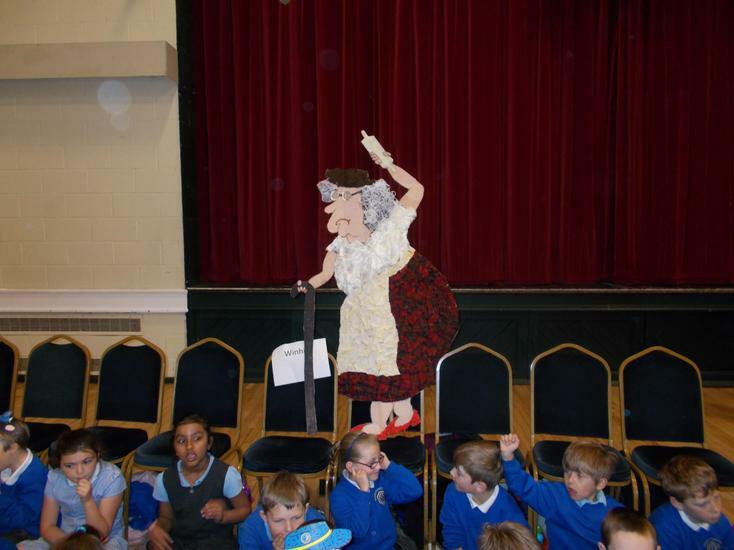 The children were part of the Storytelling Superstars festival which was held at the Priory Centre in St Neots. Using actions they performed the story of ‘What a Monkey Sees a Monkey Does!’ The festival was to promote the importance of reading to help children in their understanding, creativity and imagination, plus helping to expand their vocabulary through books. We have had an extensive range of activities beginning with the Christmas lights switch on - well done to everyone who made a decoration for the tree in the main hall. The children have been applying their fine motor skills in making Christmas decorations for the shared areas. We had a traditional school Christmas Lunch with all the trimmings – thank you to the ladies in the kitchen! 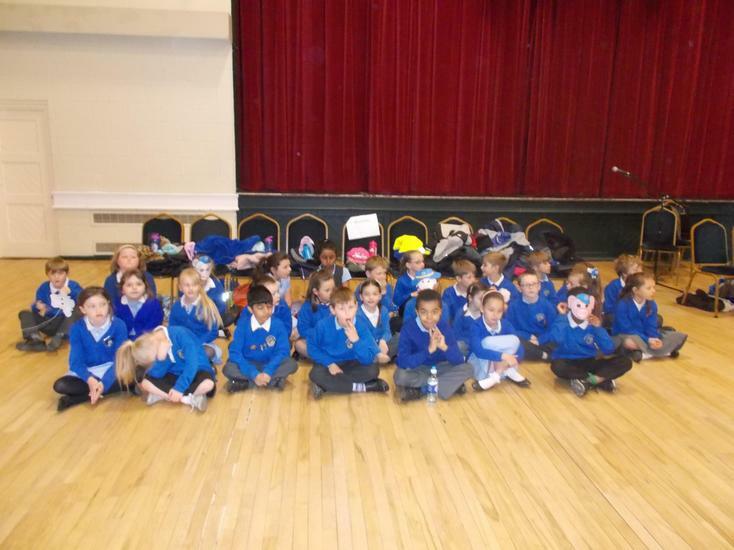 The children were treated to a pantomime and finally they delivered an exceptional Christmas singing performance to parents and also at St Marys Church. Well done to year 3 you deserve your reward day after your high standard of work in your first term. Please see the photos below of the children having a great time at the silent disco!